This week on the Indie Minute, I visit the Old West mining towns of SteamWorld Dig, a platforming action-adventure game from the team over at Image & Form. This pixel perfect gem from 2013 just made its way onto the Nintendo Switch and at only $4.99 has got to be one of the biggest bargains on the platform. 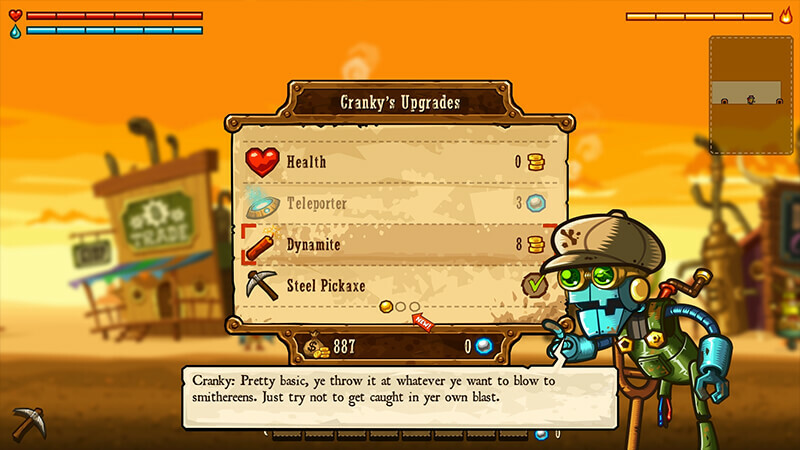 SteamWorld Dig puts you in control of Rusty, a steam-powered robot with a newly discovered entitlement. His late uncle Joe left him the deed to a mine in the small western town of Tumbleton. With his trusty pickaxe in hand, his goal is a simple one: dig into the mine and unearth what lies inside. The game’s system aren’t all that complex. Just like with other platformers, the player runs, jumps and battles with enemies, but it’s the game’s mining aspects that set it apart. 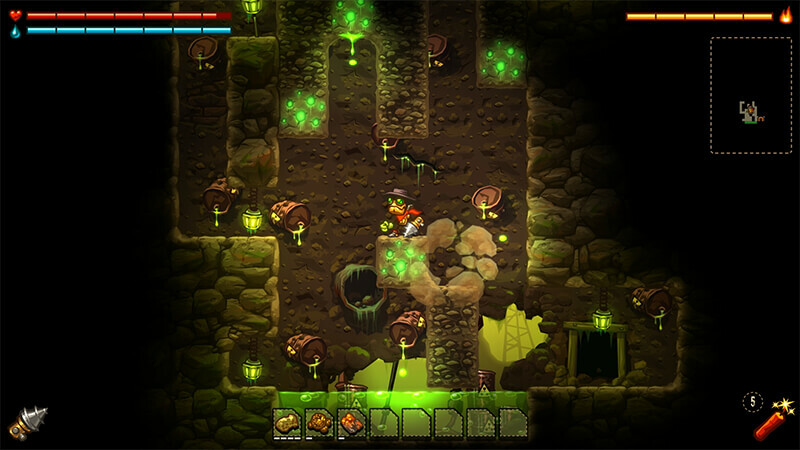 The game features three distinct mining areas, unlocked as you progress further down the mine. Aside from your pickaxe and lantern, progressing further and further down the mines awards the player with various upgrades and weapons. Steam-powered rocket boots, armor upgrades and a drill for those particularly rocky bits of the mine await as you journey deeper. As you pick your way through randomly generated mines, gems and other valuables begin to drop, which can be collected and converted into gold coins to upgrade your arsenal, top off your health and purchase other helpful items. This loop cycles beautifully through this roughly 5-hour experience, all the way down to the very bottom of the Tumbleton Mine. SteamWorld Dig has cemented itself as one of my favorite indies ever. 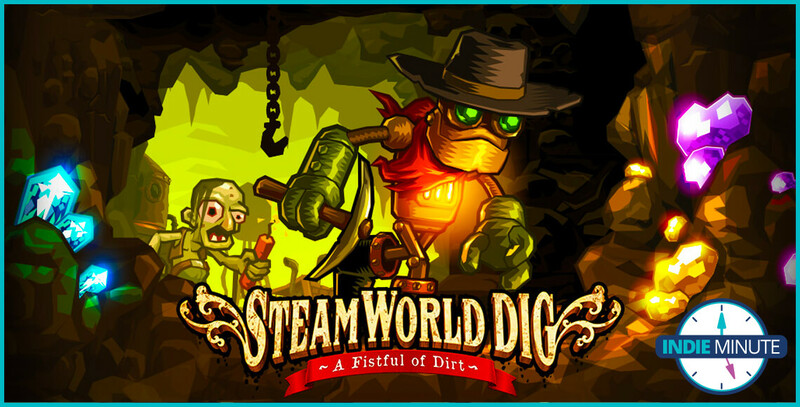 With its colorful cast of characters, solid gameplay loop and brisk pace, SteamWorld Dig is a must-buy for any Switch owner and a must-consider for all other platform owners.